Tell us about some of the outstanding achievements by the National Assembly in its second year of the 14th legislature? Looking at the overall picture of the country in 2017, I’m very happy to say that all the 13 socio-economic targets set by the National Assembly (NA) have been either achieved or surpassed. In 2017, our GDP growth was 6.81 percent, surpassing the target and the highest since 2011. These achievements are the solid foundation for the nation to enter the year 2018 and following years. In 2017, the NA passed 18 laws and gave opinions on drafting 15 others. The two question-and-answer (Q&A) sessions were of high quality and the questions and answers close to life. Last year was the first time the NA conducted high-level supervision on the implementation of the country’s policies and laws toward the reforms of the state administrative apparatus. Through this, we were able to come up with specific barriers that have hindered our administrative reform. At the same time, we also came up with synchronous measures to reform the mechanism to make it work better. Based on the supervision results, the NA adopted a resolution on the continuation of the reform of the state apparatus to make it work more efficiently. In addition, many supervision topics conducted in 2017 by the NA or the NA National Assembly Standing Committee were highly appreciated by voters nationwide. For example, the supervision on the implementation of legal documents on food safety in the period 2011-16 or the implementation of policies and legal documents relating to build-operate-transfer (BOT) projects. 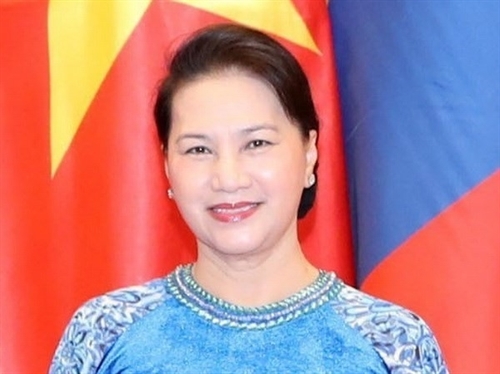 In 2017, NA deputies approved many decisions, including important policies that could have extremely important impacts on the country’s socio-economic development, including the approval of the construction of some portions of the North-South express highway in the East in 2017-20, a pilot mechanism and special policies for Ho Chi Minh City to develop, and others. The people are the motivation for the NA to work more efficiently. They are the foundation for the NA to continue to improve the quality and efficiency of its legislative missions as well as supervising important issues of the nation. What were some of the key missions of the NA in 2018? We’ll continue to implement the Resolution of the twelfth National Party Congress and the overall program laid down for the 14th Legislature. Acting on the spirit of renewal, creativity and actions for the interest of the people and the nation, the NA has and will continue to do its best to accomplish all the tasks, missions and targets set for 2018. To achieve them, each NA deputy and agency should enhance their wisdom and intelligence and listen to voters’ opinions before casting their votes on national issues. This is the right, but also responsibility of each law maker. In reality, Q&A sessions have captured special attention from voters. Many voters have expressed high appreciation for the topic because many "hot" issues were raised at these sessions. NA deputies standing in the docks provided satisfaction with their answers. In my opinion, these sessions have won the hearts and minds of many voters. This is an effective way to consolidate people’s confidence in the Party and Government. What will be some of the external activities of the NA in 2018? To continue with successes that the NA had achieved in 2017, from January18-21, 2018, we successfully organized the 26th Asia-Pacific Parliamentary Forum (APPF-26), which won the heart and minds of all who participated.